Snag This Rate Before It Flies Away! Are you or know someone at your company planning to attend InterAXions 2019? If so, right now is absolutely the best time to register! The price increases after February 28, which means you need chance to lock in the lowest rate now! Someone at your company is planning to attend, but you aren’t sure who and you don’t want to miss out on this price break? Don’t worry, simply register someone and then transfer the registration to the person who will eventually attend. It is absolutely free to transfer the registration to someone else as long as it is before April 30, 2019. Taking time away from the office can be stressful and require permission from your supervisors. Put your best foot forward with a well-prepared pitch to your boss! Check out our last blog post with tips on how to convince your boss to send you to InterAXions. We even include a sample justification letter for you to fill in the blanks! Are you dying to attend InterAXions 2019, but finding it a little difficult to get your boss on board with your excitement? Chances are your boss is simply debating if it’s really going to be valuable for you to attend or if you just want an excuse to get out of the office for several days. 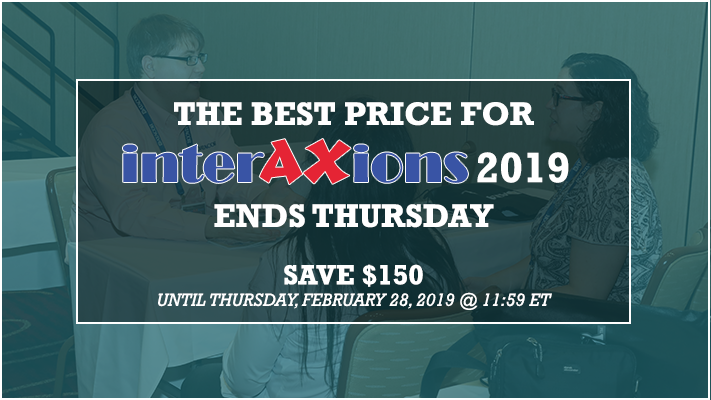 Here are some helpful tips and resource that will demonstrate the tremendous value of attending InterAXions 2019. 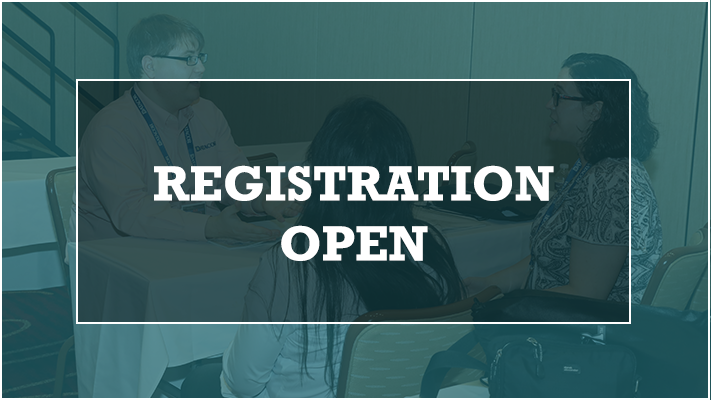 This year, we feature over 100 breakout sessions, which means plenty of chances for you to strengthen your Chempax knowledge and skills to achieve your personal and company goals. Take a moment to review our class descriptions and create your personalized schedule geared toward your goals. Unsure of which classes to choose? View our suggested learning tracks sorted by job function. Networking is the heart and soul of InterAXions. Why is that? Datacor customers tend to hail from similar industries and encounter similar challenges. Therefore, one of the greatest benefits of attending InterAXions is the chance to tackle these challenges head on with your peers' insight and experiences. From social events, breakout sessions, lunches and much more, there is always time to meet new people to exchange ideas. Think about what is important to your boss and highlight how networking with your industry peers can help you gain the insight that you need to reach your goals. We have a block of discounted hotel rooms at the Wyndham Hamilton Park Hotel & Conference Center for InterAXions attendees. Be aware that the hotel rooms do book fast, so register early to gain access to the hotel block and snag a great rate. The closest major airport to Wyndham Hamilton Park Hotel & Conference Center is Newark Liberty International Airport (EWR). It's approximately a 45 minute ride from airport to hotel. Use an app like Hopper to keep an eye on airfare prices and book at the best time. While there is a cost to being out of the office, there is true value to it as well. Attending InterAXions expands your view of how to use Chempax in your day-to-day tasks so you can return to the office better equipped to work more efficiently. Widening the scope of what Chempax can do for your business through this three-day training event is just what you need to return to work with renewed energy and the tools to finish out the year strong. When talking to your boss, have a plan on how your work will be managed while you are away attending InterAXions. Not sure how to pitch all these benefits to your boss? Well fear not, we have prepared a simple justification letter template that you can download, fill in the blanks, and send to your boss for approval to join us in May. Remember, the Early Bird Super Saver Registration Rate expires on February 28, 2019 at 11:59 ET!